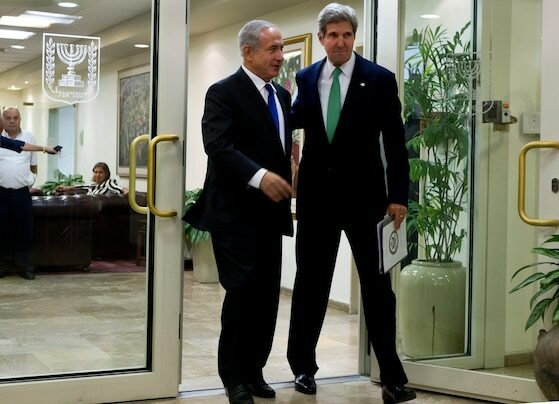 JIM HOLLANDER / POOL/EPA – Secretary of State John Kerry, right, and Israeli Prime Minister Benjamin Netanyahu after a meeting on the Syrian conflict Sunday in Jerusalem. In address at memorial marking 40 years since Yom Kippur War, Netanyahu also says Syria deal must yield ‘complete destruction’ of chemical weapons arsenal. 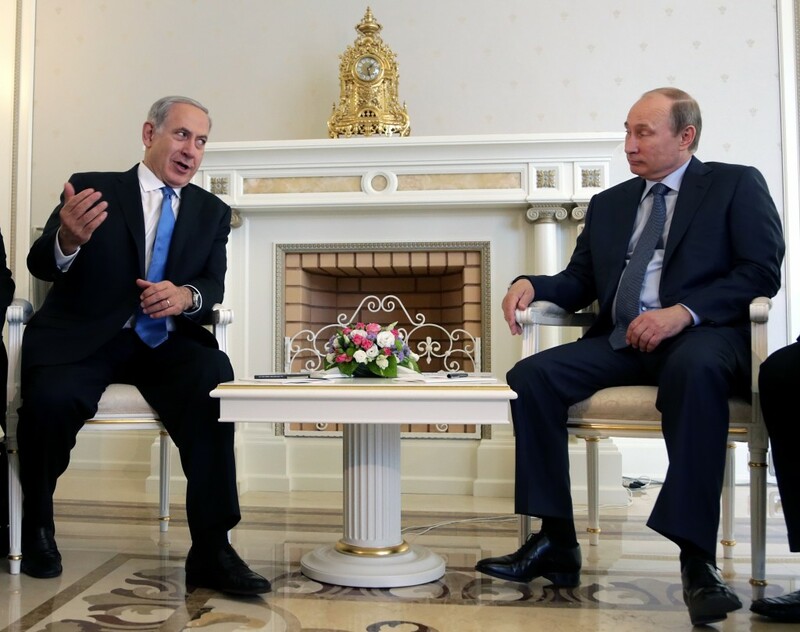 Prime Minister Benjamin Netanyahu said on Sunday that Israel hoped a U.S.-Russian deal to remove Syria’s chemical weapons would result in the “complete destruction” of the arsenal, and urged the international community to apply the same efforts to destroying Iran’s nuclear program.